I was actually dreading this job – I have not checked the table alignment on the joiner since the day I first set it up. (And I was really not sure how to check it then either, as I didn’t have a reliable straight edge in the shop – I used a metal yardstick on edge at the time). As you may be able to tell from the pictures, the tables were still co-planer – *whew*! Most of the original power tools I have are rigid brand, as I had a home depot near me at the time. 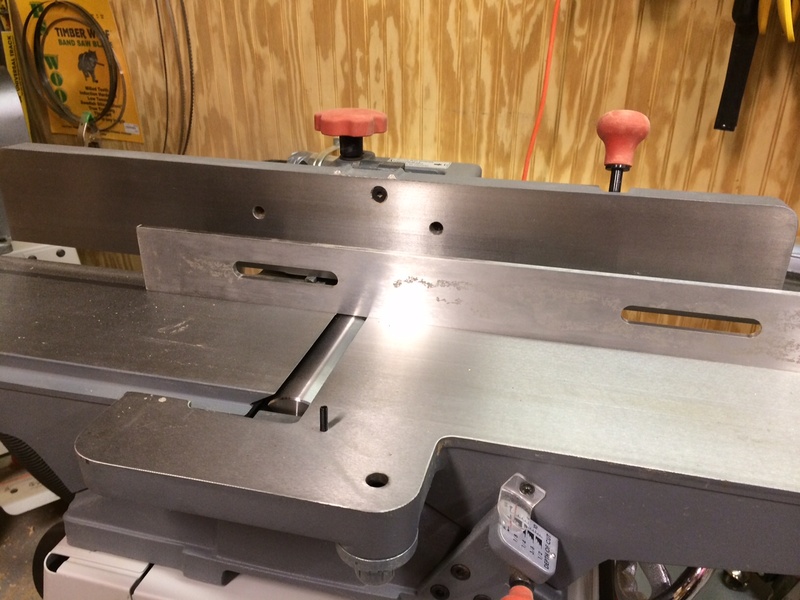 This is their 6″ jointer and it uses indexed knives. The good part is that I don’t have to fiddle with blade alignment when changing the blades. The bad news is that I really can’t resharpen them. What I do need to pay attention to is the cruft that builds up under the blades before I insert a new blade. I lift out the clamp piece, and using a set of picks I got for Christmas one year (finally got to put them to work) I loosed any material that was packed in there, then blew it out with the compressor. The blades are able to drop in to the bottom, and I simply tightened the clamps back down. and of course, I lather, rinse and repeat as there are three blades on this unit. Next is cleaning and waxing the table tops to keep the wood movement easy. Then I put the fence back in place, and reset it to the default 90 degree setting and that’s another beast back to work. 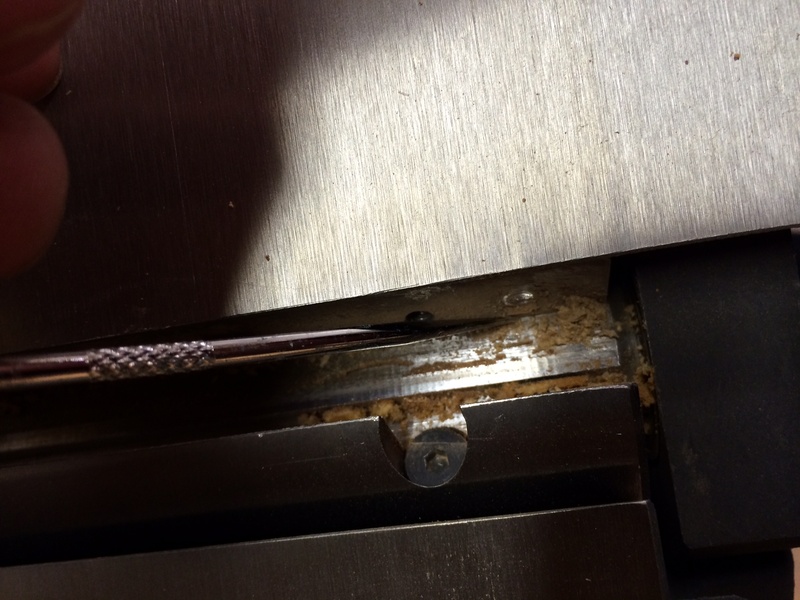 This entry was posted in Shop stuff and tagged jointer, power tools, tool maintenance on April 30, 2014 by bkbiggs.